Let's say you put in five years at your current job. For most of those years, you've had the company take a set percentage of your pre-tax salary and put it into your 401(k) plan. Now that you're leaving, what should you do? The first rule of thumb is to leave it alone because you have 60 days to decide whether to roll it over or leave it in the account. If you decide to have your distribution paid to you, the plan administrator will withhold 20 percent of your total for federal income taxes, so if you had $100,000 in your account and you wanted to cash it out, you're already down to $80,000. Furthermore, if you're younger than 59 1/2, you'll face a 10 percent penalty for early withdrawal come tax time. Now you're down another 10 percent from the original amount of $100,000 to $70,000. Also, because distributions are taxed as ordinary income, at the end of the year, you'll have to pay the difference between your tax bracket and the 20 percent already taken out. For example, if you're in the 33 percent tax bracket, you'll still owe 13 percent, or $13,000. This lowers the amount of your cash distribution to $57,000. But that's not all. You might also have to pay state and local taxes. Between taxes and penalties, you could end up with little over half of what you had saved up, short-changing your retirement savings significantly. If your new job offers a retirement plan, then the easiest course of action is to roll your account into the new plan before the 60-day period ends. Referred to as a "rollover" it is relatively painless to do. 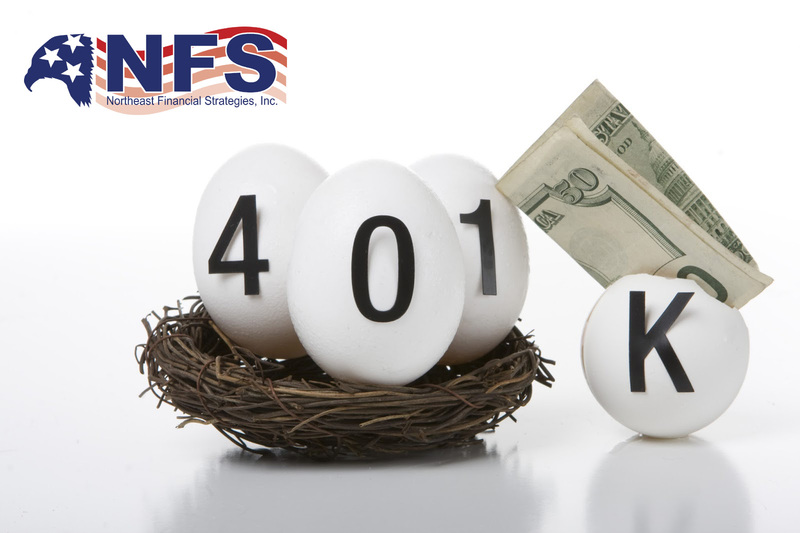 The 401(k) plan administrator at your previous job should have all of the forms you need. A word of caution: Many employers require that you work a minimum period of time (e.g. three months) before you can participate in a 401(k). If that is the case, one solution is to keep your money in your former employer's 401(k) plan until the new one is available. Then you can roll it over into the new plan. Most plans let former employees leave their assets in the old plan for several months. But don't panic. You have 60 days to roll over the lump sum (including the 20 percent) to your new employer's plan or into a rollover individual retirement account (IRA). Then you won't owe the additional taxes or the 10 percent early withdrawal penalty. Note: If you're not happy with the fund choices your new employer offers, you might opt for a rollover IRA instead of your company's plan. You can then choose from hundreds of funds and have more control over your money. But again, to avoid the withholding hassle, use direct rollovers. Note: Prior to 2015, the IRS allowed a one-per-year limit on rollovers on an IRA-by-IRA basis; however, starting in 2015, the limit will apply to aggregating all of an individual's IRAs, effectively treating them as if they were a single IRA for the purposes of applying the limit. If your vested account balance in your 401(k) is more than $5,000, you can usually leave it with your former employer's retirement plan. Your lump sum will keep growing tax-deferred until you retire. However, if you can't leave the money in your former employer's 401(k) and your new job doesn't have a 401(k), your best bet is a direct rollover into an IRA. The same applies if you've decided to go into business for yourself. You don't have to start taking withdrawals from your 401(k) unless you retire after age 70 1/2. With an IRA you must begin a schedule of taxable withdrawals based on your life expectancy when you reach 70 1/2, whether you're working or not. Don't hesitate to call if you have any questions about IRA rollovers. We can assist you in the process and find an option that best suits your needs.